searchmain menuSALTS30 Years of SALTSJoin the Celebration! If you are a SALTS member then you probably already read some notes about this in Saltings. 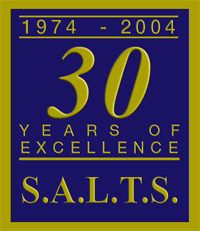 I am starting this thread in the hopes of gathering some stories and suggestions that may be of use for in and around the events (yet to be set) to celebrate SALTS´s 30th Anniversary. Current plans place the dates at some point after the summer trips - but there is nothing firm yet. Do you hope to attend? A quick straw poll to get an idea of how many bosunsmate.org members will be able to attend the festivities!